From plates and mugs to kids' collectible bugs, we have more than 400 styles to choose from. Prices range from $2 to $50. Browse our Design Center for ideas, tips, and tools. We offer stencils, stamps, detail brushes, and a wide variety of add-on shapes to enhance your design. Our paint palette includes more than 70 solid, speckled, and dimensional colors, so color matching is a breeze. Sit back, relax & have fun painting! Have questions along the way? We're always happy to help. We’ll coat your piece with a clear, protective glaze and fire it in our kilns. Come back to pick it up, or have us ship it to you. Our daily studio fee covers all the paint and decorating supplies you'll need, plus glazing and kiln firing. 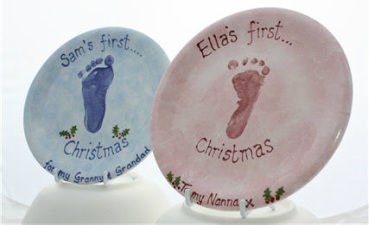 Our 400+ pottery styles range in price from $2-$100. No problem! We ship for $12 for in state shipping and $15 for out of state shipping per address on all standard-size items.